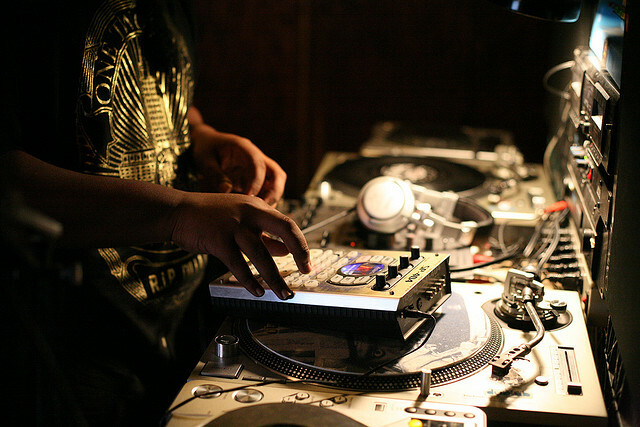 Brainfeeder at work. Photo (CC-BY-NC-SA) Theo Jemison Photography. Writing about music may indeed be like dancing about architecture, so why not give music a listen? If you’re not already familiar with the terrific Los Angeles label Brainfeeder, founded by Flying Lotus, now’s the time to discover its artists. If you are familiar with them, you barely need read this blurb before skipping ahead to a lovely compilation. Onboard: Thundercat, Martyn, Samiyam, Tokimonsta, The Gaslamp Killer, Jeremiah Jae, Taylor McFerrin, Teebs, Austin Peralta, Matthewdavid, Mono/Poly (the artist, not the synth, but we can love both), plus (exclusive) Lapalux. And the timing is fitting: Brainfeeder has won well-deserved recognition in the Gilles Peterson Worldwide Awards 2012. (Other fine labels in the runners-up — Numbers, Hotep, R&S, Young Turks.) These awards dig through our world’s plentiful quality music to find things that are really special; you can check out some of their picks in the award setting in London in the short film below. It was also gratifying to see Machinedrum (Travis Stewart, also of Sepalcure) take home the “John Peel Play More Jazz Award,” as one of our favorite musicians of 2011. 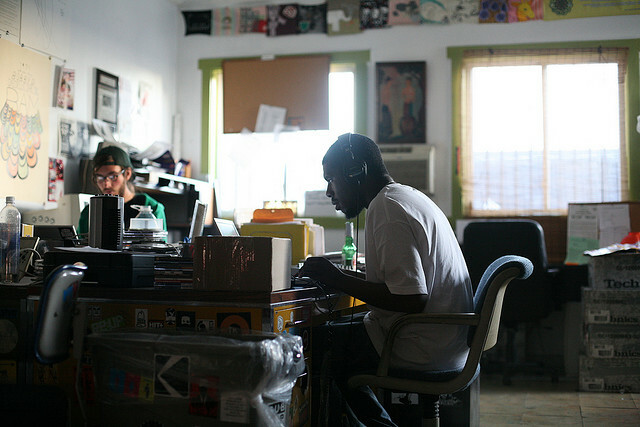 Brainfeeder is brainchild of this man, Flying Lotus, seen here laboring on the label. Photo (CC-BY-NC-SA) Theo Jemison Photography.